Welcome to The Cape Hotel in Cabo San Lucas!! I am so excited to be here for the weekend to celebrate my love Federicos birthday!! Growing up in California, Cabo was always a destination my friends & I would travel to for the weekend. I feel like a lot of my favorite memories are in this town. That being said, I have never stayed at a more beautiful hotel in Cabo, a side of Los Cabos I never knew existed. 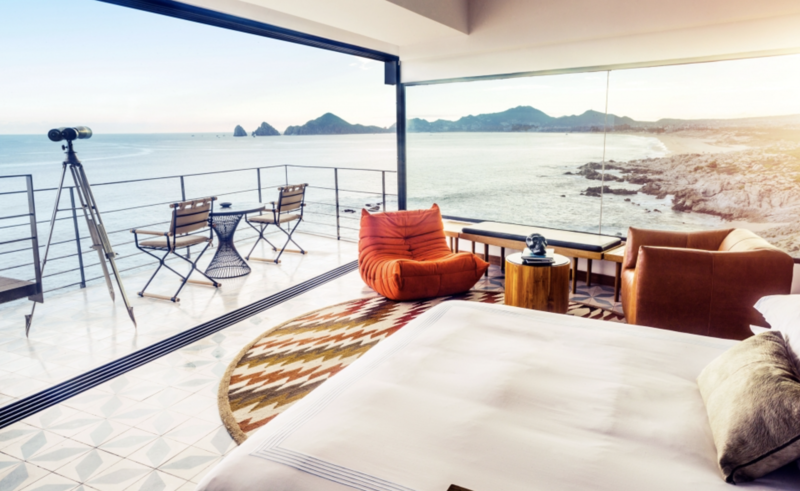 The Cape is quite unlike anywhere else in the world, a beachfront retreat where every room and vantage point overlooks El Arco and the Bahia Cabo San Lucas horizon. 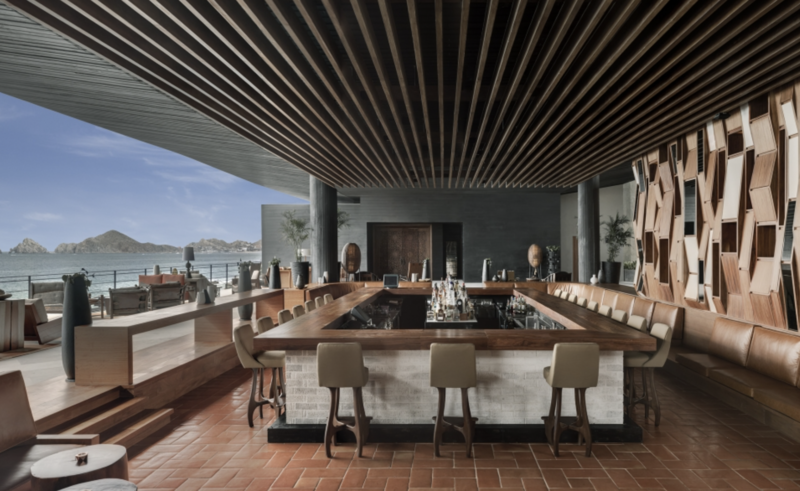 The clean, contemporary lines of visionary Mexico City architect Javier Sanchez set the pulse of an urban vibe while the warm designs by Arquitectura de Interiores’ Marisabel Gómez Vázquez ultimately draw you in, revealing a reflection of Los Cabos like no other. 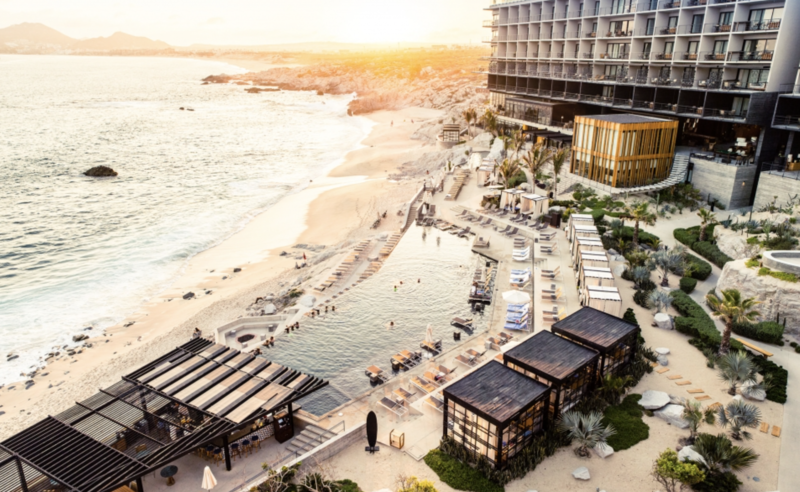 The Cape allows you to escape reality, unpack, and just completely relax, a fresh and vibrant approach to Los Cabos luxury. 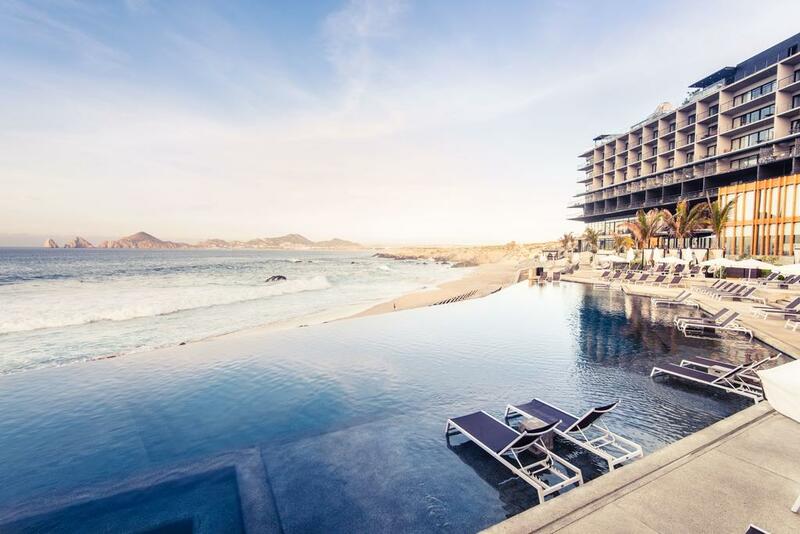 From the luxury rooms and suites to the saltwater infinity pool and rooftop lounge, The Cape has the location and all the amenities for an unforgettable experience in Cabo San Lucas. Perfectly Thompson w/ a Mexican twist. When you arrive to the lobby of the hotel you are greeted by the light ocean breeze, the smell of salt in the air & the smiling faces of the hotel employees. Ahh, you have just arrived to paradise. Close your eyes & breathe it all in. The hotel lobby is the perfect frame to the ocean right in front of you. Every line, every room, every detail eventually leads your eye to the gorgeous ocean view the hotel is built on. 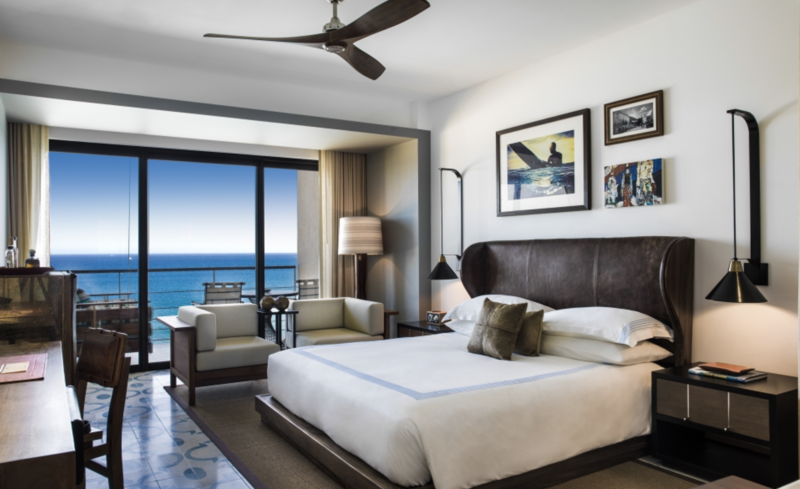 The Cape is the only hotel on the coast with a perfect view of El Arco de Los Cabos & the perfect spot for a weekend escape. 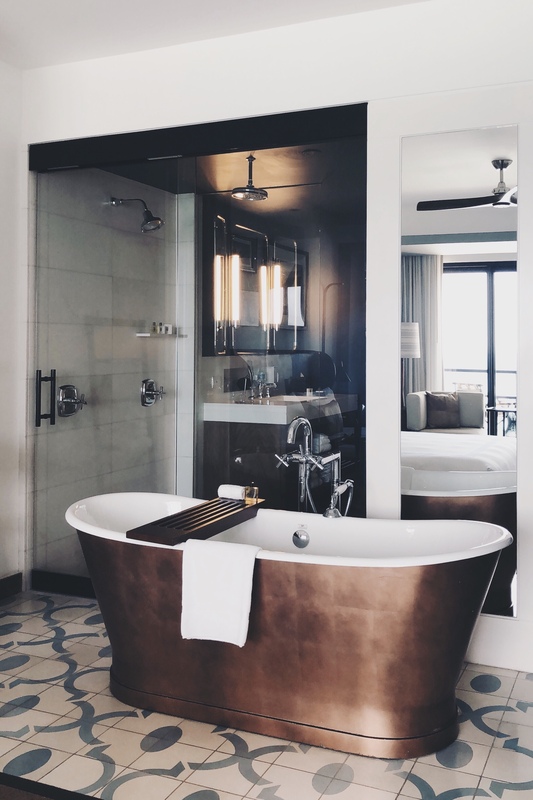 A world renowned name like Thompson brings you to the hotel, but the Mexican Design, Mexican Concept, Mexican architect, Mexican chef keeps you wanting more! It has the perfect balance of nature, fitting right into the cliff side & modern, cool feel that any modern couple would want to stay at. Bright, vibrant & warm rooms that give you space but always makes you feel connected to your partner. You feel the romance right as you walk in. A terrace with a floating lounge for watching the sunsets, a open floor plan to never loose sight of your loved one & a complimentary bottle of The Capes personalized tequila to start the weekend off right! 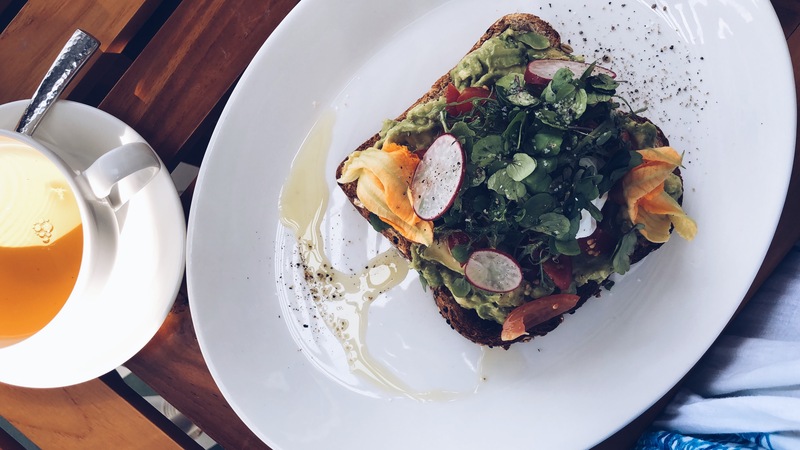 Breakfast is always one of my favorite moments of the day & The Cape really gives you the best of the best. Before arriving to the hotel, I had multiple people tell me to order the French toast. As soon as I arrived, almost every person we ran into at the hotel would say the same thing. 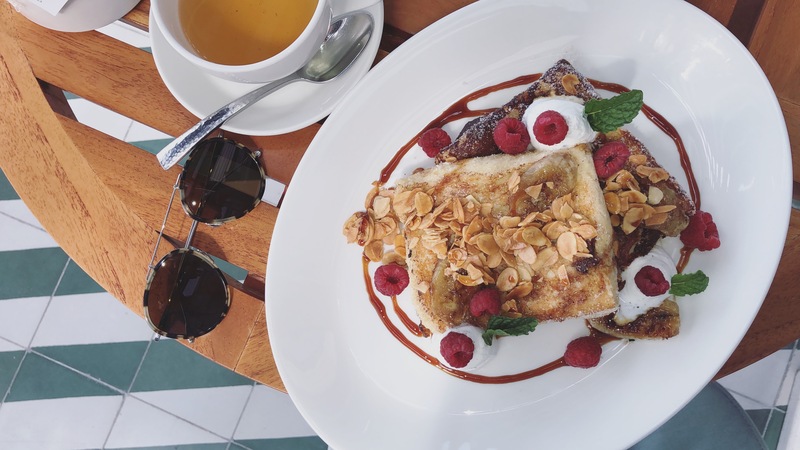 Now, I have to admit, the idea of French Toast has never been too appealing to me but I had to order it to see what everyone was talking about. OMG. It is literally the most delicious thing I have ever tasted. Warm brioche bread, perfectly prepared with toasted almonds & brown sugar. It melts in your mouth & leaves you wanting more, so much more. 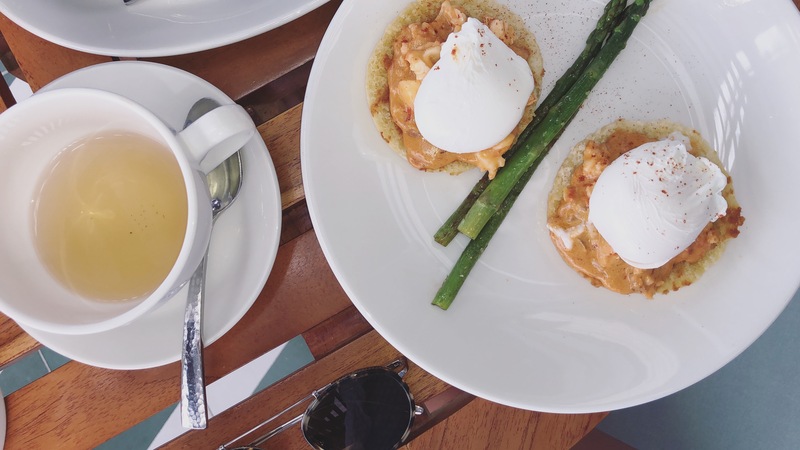 The Cape gives you so many wonderful options… I absolutely loved the Avocado toast w/ heirloom tomatoes topped w/ a poached egg and the chipotle lobster Eggs Benedict was to die for! If this is the way to start your day at the Cape, I never want to leave!! 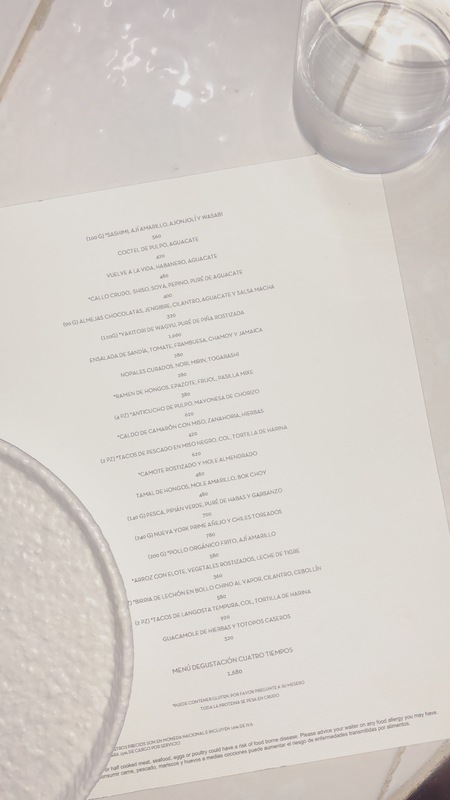 My favorite experience at the Cape was the newest restaurant by chef Enrique Olvera. 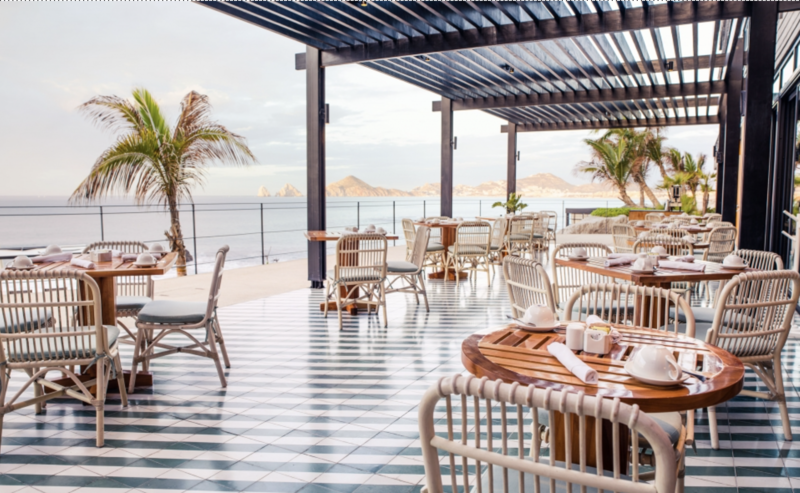 I had recently visited the famous Pujol in Mexico City for my birthday in April so I was very excited to dine at Manta, a Mexican/Asian fusion restaurant with the perfect view of the Arc of Los Cabos. The restaurant is all black, a perfect background to spotlight the chefs amazing creations. Being at a restaurant of such caliber it seems necessary to experience every plate that you desire so we went for the prefix menu option & Thank God we did. What an amazing experience. We honestly had trouble choosing 4 different plates on the menu since everything sounded delicious & creative in its own way so we decided to split a couple plates so we could try more on the menu. We both started off with the Sashimi, another deliciously fresh tuna that was cut to perfection. My second plate was the Ramen made with a black bean base & mushrooms. Fede & I shared the Tacos de pescado w/ black miso & the octopus w/ chorizo mayonnaise and for the last plate I had the tacos de langosta. I like to call myself a foodie since I loveeee love love trying new plates & recommending my favorite local spots. Manta has without a doubt changed my way of thinking about Mexican food & has reached the top of my list in Mexico without a doubt. A Must Eat. The Lobby bar is a cozy hideaway that keeps the juices flowing. A pool table & table games gets the conversation started. The Rooftop bar is a Must See at The Cape. Live music & amazing cocktails with the best view in town. Nothing is blocking the view of the entire coast of Los Cabos & the sunset is breathtaking… hands down the best views in Los Cabos.